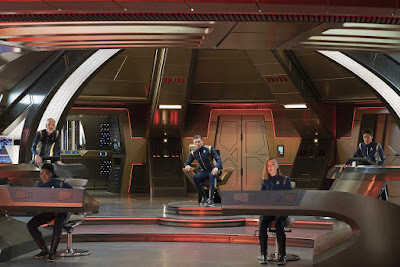 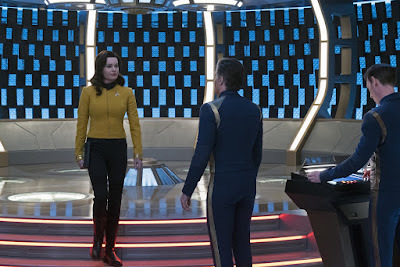 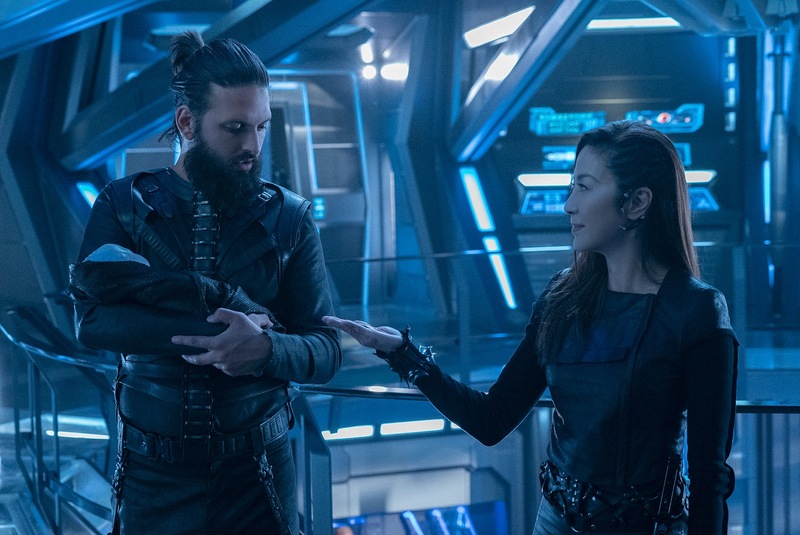 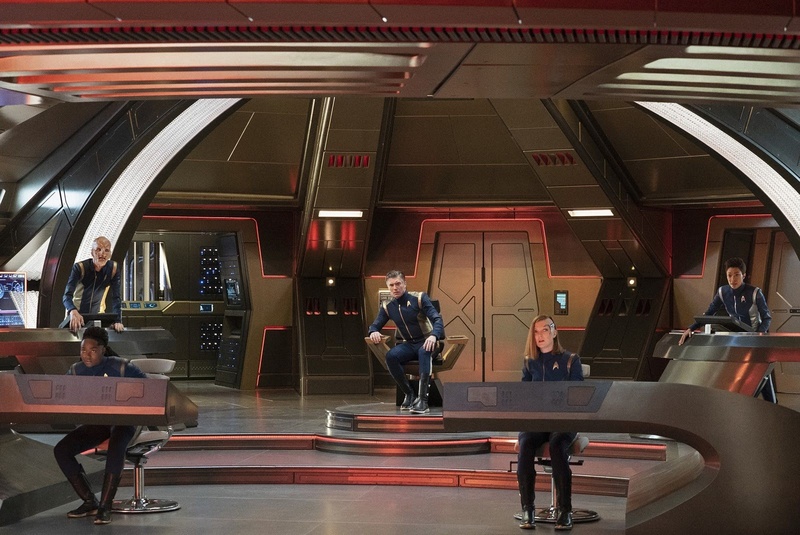 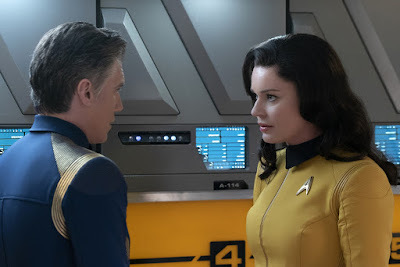 CBS have also released several new images from the episode, which highlight the introduction of Rebecca Romijn as Number One, and the very welcome return of Jett Reno. 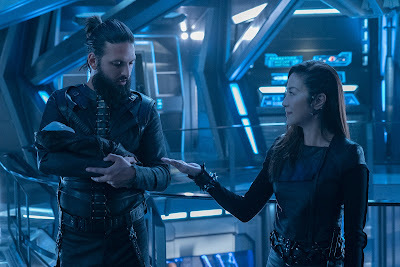 Well, Erika [Lippoldt] and Bo [Yeon Kim] are writing it now, so we're breaking story now, and they're amazing, and they're a big part of Discovery, so they're on our staff too. 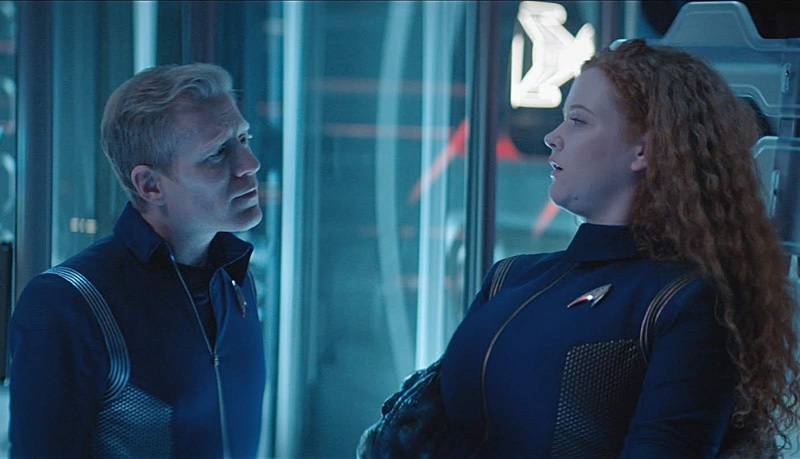 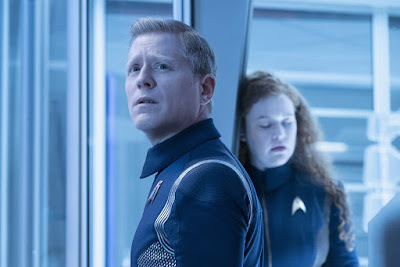 So they're doing double duty this year, and our hope is that we will have a script in the next couple months, and then as soon as Discovery Season Three is over we're rolling right into that show. 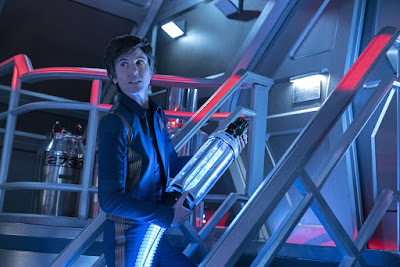 That's my hope. 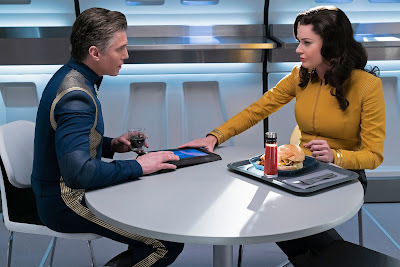 In season one, Michelle came to me and said, 'Let's do a spinoff of this character.' 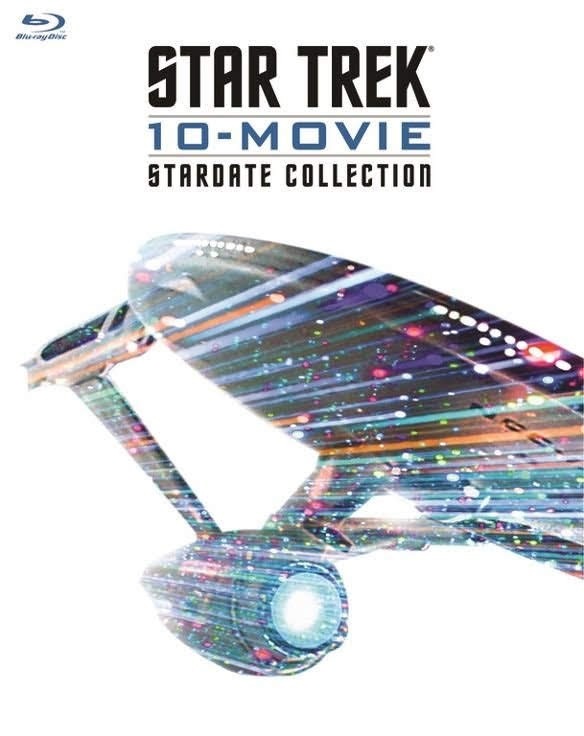 And I took a minute, because it was clearly such a brilliant idea, except the series hadn't aired yet. No one had seen even season one of Discovery, so nobody really knew, and we didn't, if it was going to be successful or not. So the minute it became successful, we started that conversation.